Our casino hosts love making every Aliante guest feel welcome. Get to know them, and be sure to introduce yourself when you see them on the casino floor! Stacey started her career as a Certified Surgical Technologist, but it didn’t take long for her to realize her true passion. In 2013, she became a Casino Host at Aliante Casino + Hotel + Spa. Her ability to make guests feel welcome and appreciated every time they visit lets us know she has found her calling. 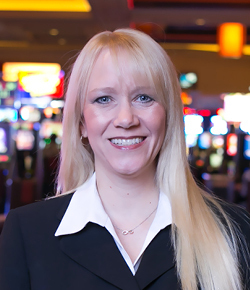 In 2017, Stacey became the Executive Casino Host for Aliante. In her free time, Stacey loves to spend time with her Rottweiler. However, nothing gives her more of a thrill than coming to work and seeing the co-workers and guests she now calls friends. You’re next! 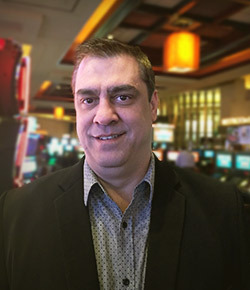 Greg joins our casino host team with 14 years’ experience managing casino and VIP marketing departments. He takes great pride ensuring his guests have a pleasurable and memorable experience here at Aliante. In Greg’s spare time he enjoys listening to live music, playing racquetball, golf and running agility with his Boxer Ryker. Greg is from the Bay Area and is a big fan of the Oakland sports teams, the A’s, Warriors, and Raiders. Come by and say hello the next time you see Greg on the floor he’d love to meet you. Originally from New Jersey, Jason has been in Casino Hosting positions since 2008. 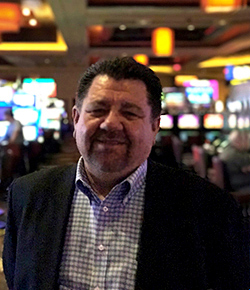 His expertise in VIP relations, gaming, and understanding the importance of building guest loyalty is a true asset to us at Aliante. When Jason is not assisting guests in making memories, he enjoys playing basketball, traveling, and his Philadelphia Eagles.